First appearing in Doctor Who in 1977 in an episode called The Invisible Enemy, K-9 was a robot dog companion invented by Professor Marius in the year 5000. He became a faithful companion to the fourth Doctor played by Tom Baker. K-9 helped out the doctor with a handy concealed laser in his his nose and an encyclopaedic knowledge and artificial intelligence that helped the doctor immensely. 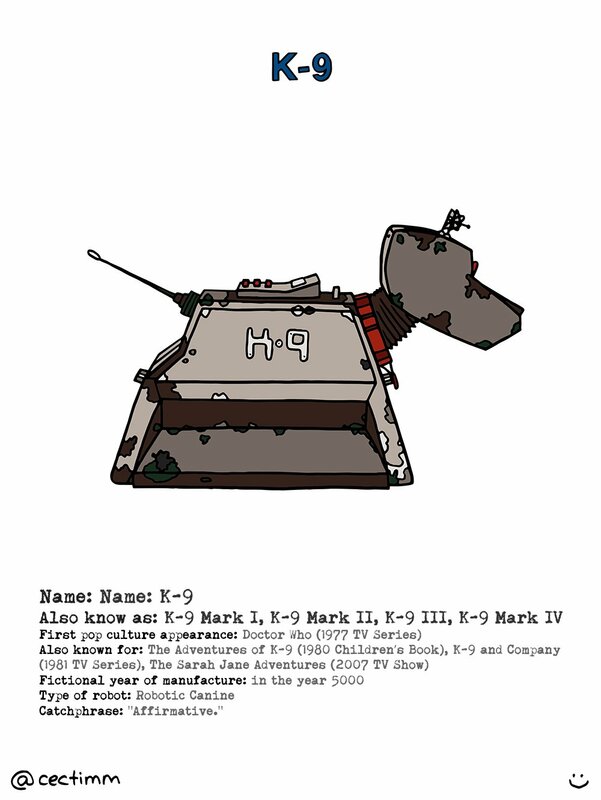 The initial K-9 unit was know as “K-9 Mark I” and in 1978 in an episode called The Invasion of Time he decided to stay on Doctor Who’s home planet Gallifrey. 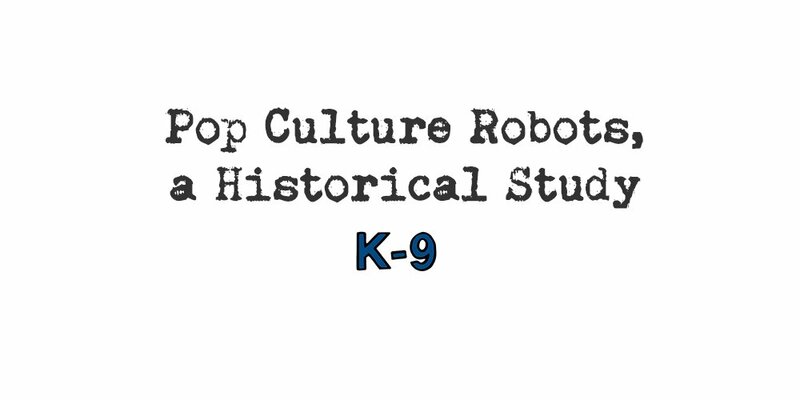 More advanced versions of K-9 appeared in later episodes of the series, as well as in a few spin offs.